Nearly a century has passed since the Madison Theatre was the center of attention in Detroit. Now this designated landmark building has been reclaimed and reshaped for a new generation of great performances. 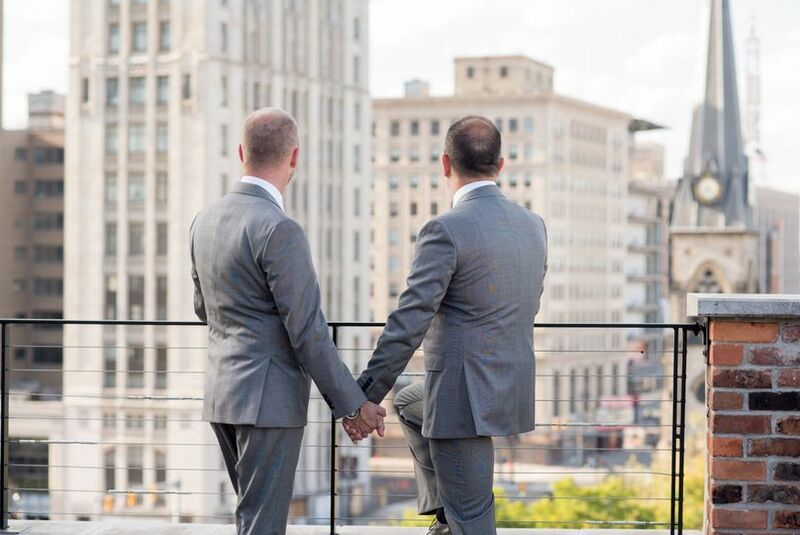 Celebrate your special day in the heart of it all! 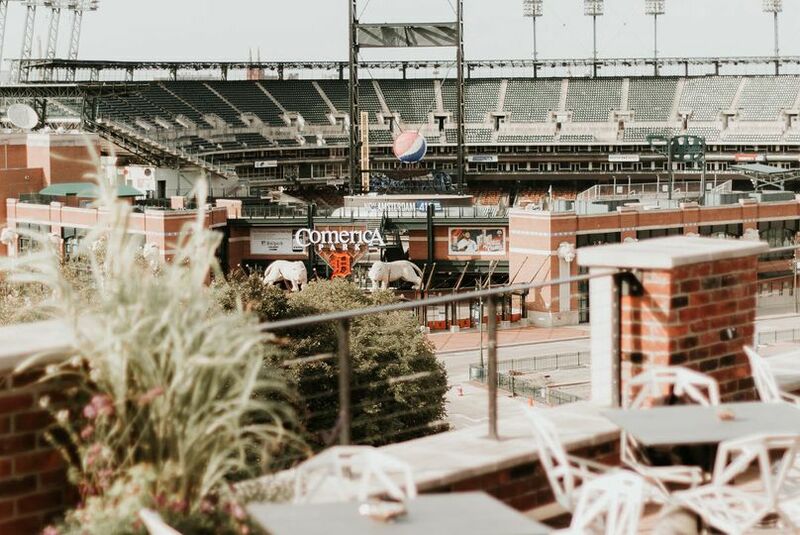 The rooftop terrace can accommodate up to 180 guests reception style and offers amazing views of Comerica Park, Ford Field, the Detroit Opera House, Fox Theatre, Greektown Casino-Hotel and the new Little Caesars Arena. The multi-level outdoor space includes a covered grill catering center, a covered bar, lounge area and wraparound balcony. 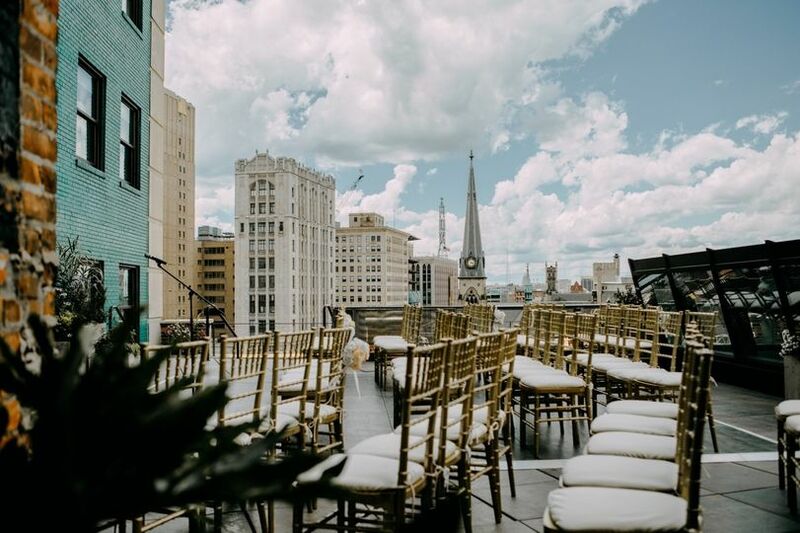 A state-of-the-art private Loft serves as the weather backup to the rooftop space or can serve as your primary event space. 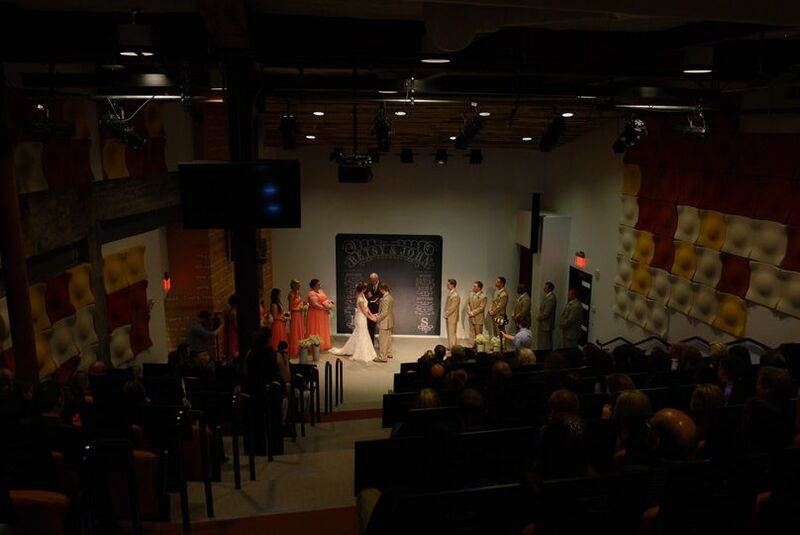 The Loft includes a 130-seat auditorium with full a/v capabilities and a prep kitchen for use by professional caterers. 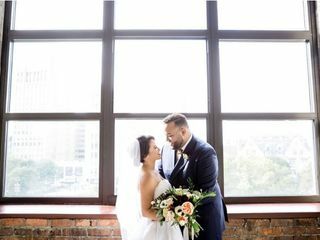 One of the best decisions we made for our wedding was to book The M@dison! 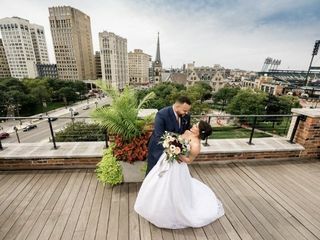 The weather was beautiful (mid September) and we were able to do our ceremony, cocktail hour and reception on the roof top, and did a plated dinner in the loft area. 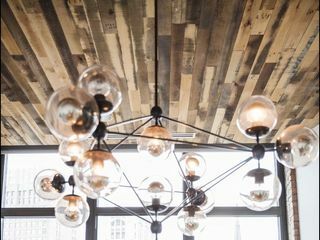 Julie and the rest of the staff were very helpful and accommodating with the entire planning process. We did not need to do much in terms of decorations because the venue itself is a work of art. The bar staff was awesome as well. Would highly recommend that you check out this venue. One visit and we were hooked! 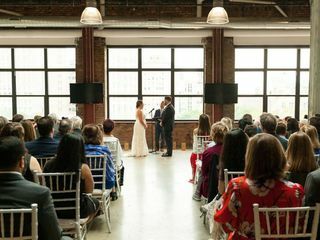 We had our ceremony in the loft space and our reception on the roof for 150 guests. Lyn was great to work with and very accommodating. 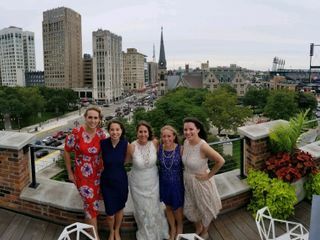 We planned the wedding from out of town, but someone was always available to meet with us whenever we were in Detroit. The existing decor and building architecture meant that we didn't need to provide many of our own decorations. 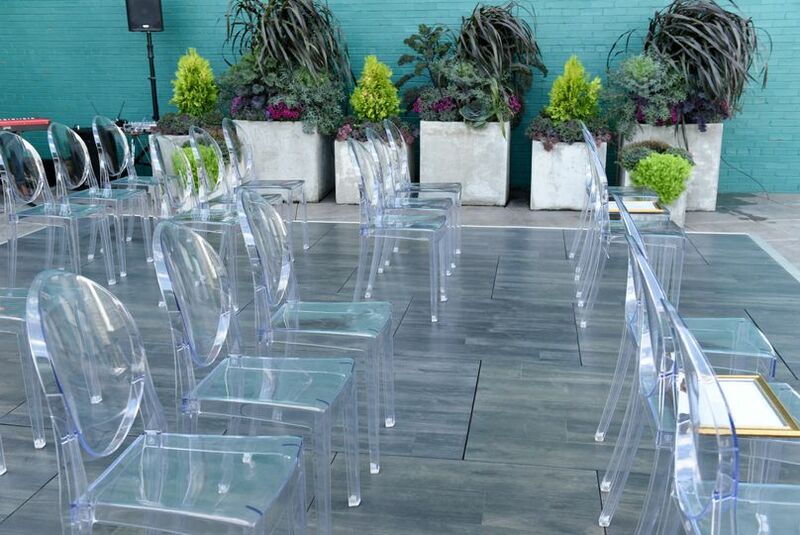 For our ceremony we wanted more traditional seating, so we rented 80 chairs to supplement the high top tables/bar stools and couches that exist in the space. 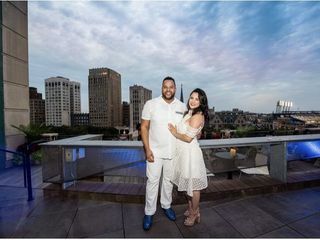 We had a strolling reception on the rooftop in early September. 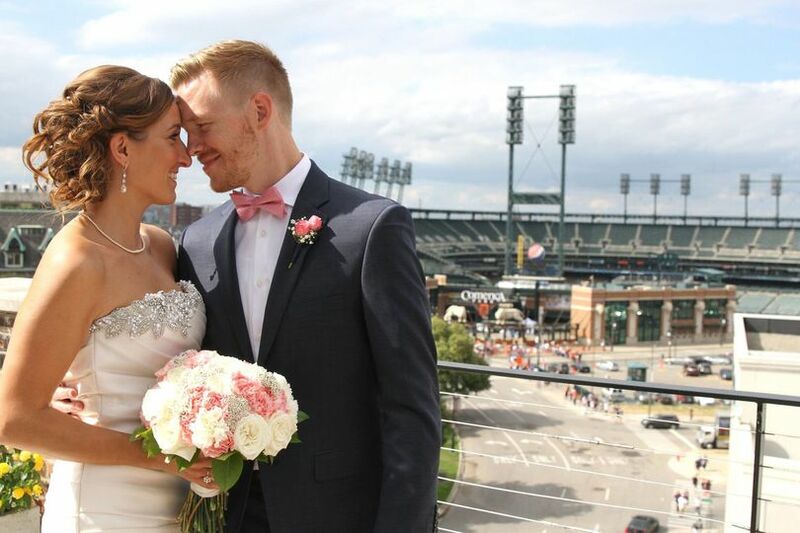 We got lucky with a gorgeous sunset, and the whale mural and view of Comerica park provided a great backdrop for our evening. Our guests were mostly from out of town and kept mentioning how cool the space was. Looking through our pictures, having the teal wall behind the dance floor provided great background contrast and made the pictures come out awesome. 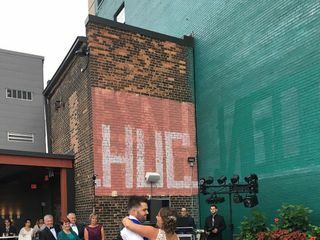 It was a little bit windy and cool so most of our guests stayed closer to the bar near the heat lamps and fire feature and on the dance floor, but even with everyone on one side of the roof we never felt overly crowded. 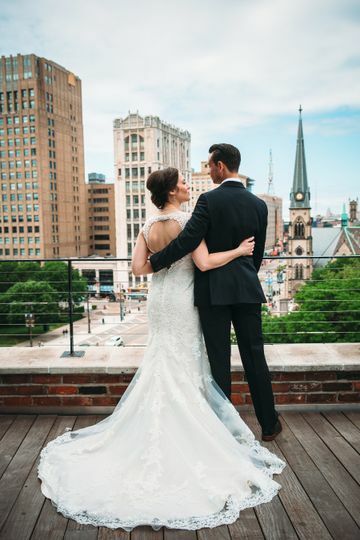 We had an amazing experience having our wedding at the Madison! The team was waaay more helpful than I ever could have imagined. 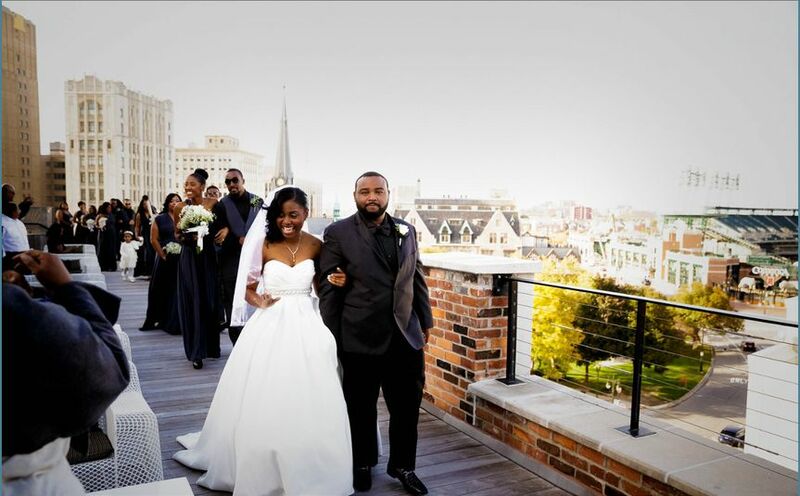 The venue made for the most beautiful photos and all of the guests couldnt stop raving about it. 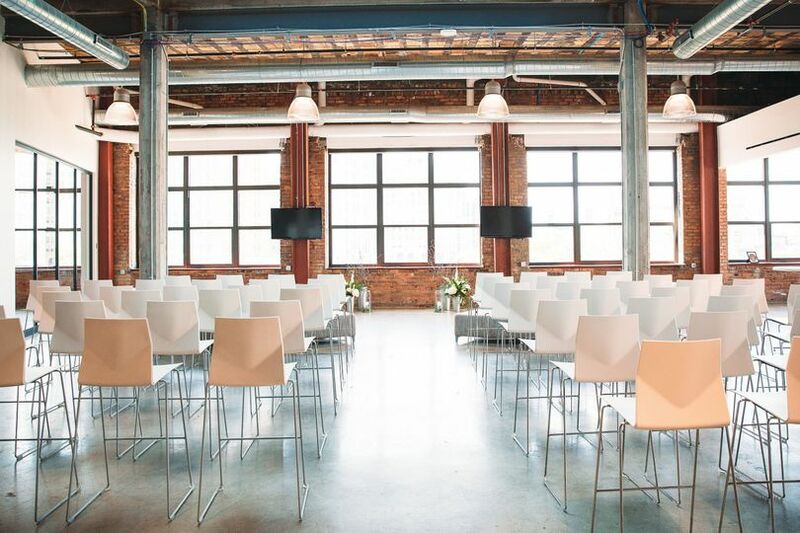 I would definitely recommend using the Madison for your event.